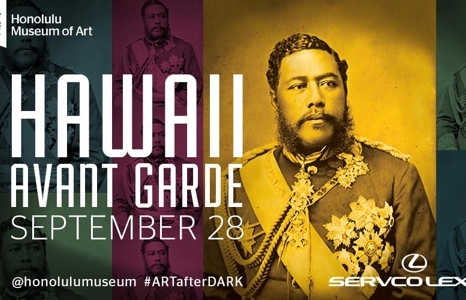 Tradition meets innovation in honor of Ho'oulu Hawai'i: The King Kalākaua Era. • DJ Mermaid spins sweet mele in the Luce Courtyard. • Don't miss Taimane and her 'ukulele in Central Courtyard at 7:30pm! Specialty brew: Ho'oulu IPA by Waikīkī Brewing Co. Specialty cocktail: Skinny Colada—a modern take on the blended pineapple classic with Old Lahina Rum and coconut water.